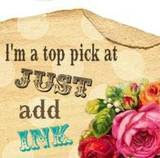 I just wanted to pop in and share one of the notecard boxes I have made for Hostess Gifts this month. 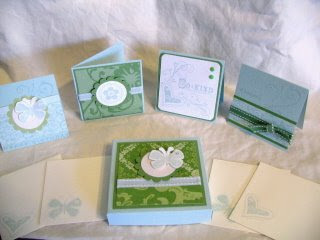 This set features a 3" x 3" box complete with 4 notecards and matching envelopes. I was really pleased with how this turned out. All my hostesses this month will be receiving a box like this (I have made a few sets in different papers) as a little thank you from me. If you are interested in booking a workshop and learning some stamping techniques with a group of friends please email me to organise a suitable time. what beautiful cards and box lisa. you are so clever.